Indoors plants are great for decorations, but that's not the only reason you should include more plants in your home. Certain plants can act as natural air purifiers, reduce stress and can even help you focus more. Having the right environment is vital to keep your indoor plants growing and healthy. Tips to take care of plants require more than just watering. Read on to learn how you should be taking proper care of your plants. There are plenty of plants you can choose, but that doesn't mean you want to choose just any plant. When picking the right plant for your home, there are a few key factors you want to consider. Know how much space you can provide the plant - some plants can grow many feet tall while others can grow wide. Do you want a flowering plant or just a plant that will add some greenery to your home? Finally, you want to decide just how much time you can dedicate to caring for your plant. 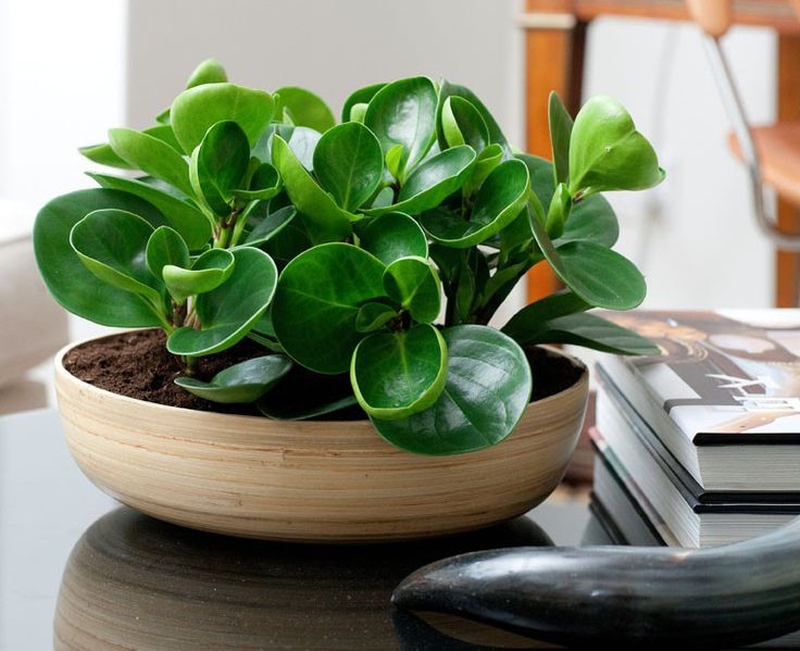 While houseplants can be quite easy to care for, some need to be watered more often or pruned more frequently, so, determine how much time you want to spend caring for your plant. After choosing the plant, you want to ensure you get the proper pot for it. You don't need to buy an actual plant pot since just about any type of container can be used as a pot, but ensure there are holes at the bottom of the pot and one that is big enough to allow the roots to grow. You might be tempted just to use some of the dirt straight from your yard for your indoor plant, but this is often not recommended. The soil in your yard can often be mixed with weeds, seeds and other harmful bacteria that can quickly kill your indoor plant. So when asking how to take care of plants, it requires the right soil. While some plants may require additional minerals or nutrients, most plants will thrive on a mixture of light potting soil that is a combination of decomposed organic material, peat moss, and vermiculite. Not only do you have to worry about watering your houseplants, but you also have to worry about under watering them. You want to soil in the pot to be moist to the touch, unless you have a succulent plant when it is normal for the soil to dry out between watering. Providing your plant with the correct amount of water will ensure the roots remain healthy and continue to grow. When your plant is dehydrated or under water, then the leaves will begin to brown or wilt. You may also notice the leaves or stems begin to droop or that the edges of the leaves begin to get a yellow tint and some will even become translucent. However, overwatering will result in mold or fungus growth on the soil and a brown slim or mush at the bottom of the pot. The leaves will also show brown spots and some may even begin to fall off. As mentioned above, you want to choose a pot that has holes at the bottom of it, which will allow for proper drainage. The proper drainage will reduce the risk of under or overwater your plant. If you are using a pot that is metal, plastic or glass, these pots will absorb less water than standard ceramic pots. How to take care of plants properly means considering how the water will drain from the soil. Be careful when using a catch pot below your pot. A catch pot has no holes as it is used to catch the water that drains from the pot, which will eventually build up water and can cause your plant to die. Most plants require adequate sunlight and few plants can survive under artificial light. When choosing where you are placing your plant, make sure it is close to natural sunlight. Flowering plants typically require between 12 and 16 hours of light a day, while green or foliage plants need between 14 and 16 hours of light a day. Your indoor plants will need more fertilizing than those you would grow outside. For flowering plants, you want a fertilizer that will provide more potassium; foliage plants should be given a fertilizer that has Nitrogen in it. You can find fertilizers as a liquid or water soluble solution which is poured directly on the plant with the water. There are also spikes which are pushed into the soil and the nutrients are released slowly and sprinkles are scattered around the base of your plant and then watered. Most houseplants will survive much better in more humid environments. You can buy a cool misting humidifier to keep the room humid or you can use a tray full of pebbles with water that just barely covered the pebbles. When the water evaporates from the tray, it will humidify the room. Also group your plants together to provide more humidity. How to take care of plants will require proper trimming. You want to remove any of the dead blooms from flowering plants to encourage more flowers to bloom. You also want to remove any of the dead branches, stems or leaves which will often attract harmful bugs. If you have been successful with your efforts, then eventually, you will need to repot your plants. This will be done when the plant becomes top-heavy or you notice the roots beginning to grow out the drainage holes. You again want to choose a pot that has holes in the bottom for drainage, but it must be larger than the last one. Add a small amount of potting soil to the bottom of the pot and then carefully remove the plant from its pot and shake off any loose dirt. If you notice brown leave near the bottom of the plant, be sure to trim them off. Place the plant into its new pot and fill the edges with potting soil.